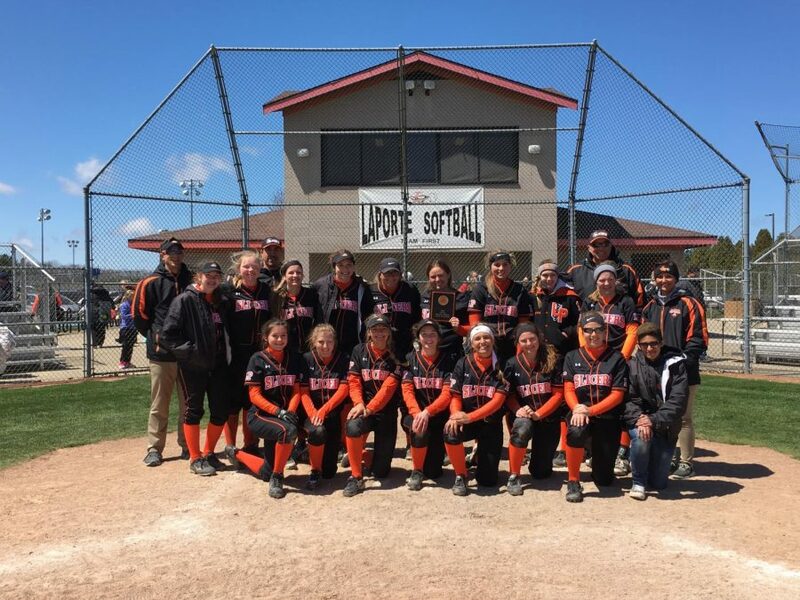 The LPHS Softball team is gearing up for the start another the season, with the first game at home against Michigan City on March 27th. There are 31 games scheduled in a grueling season. The DAC is full of state ranked teams making every game a battle for the Slicers. “Our toughest competition for our regular season is usually Crown Point or Lake Central. Overall, our toughest competition is definitely Penn in Sectional play,” Olivia Zarantonello, junior player, said. Goals are set high this season after a successful season in 2018. Last year, Slicers tied their win and homerun record, set a new record for most hits, and Avery Wolfenbarger, graduated pitcher, set the record for second most wins pitched in a season. Rylee Penziol tied the record for home runs, and Emily Wilmsen set the new record for most hits in a season. The biggest team goal for this year is to win Sectionals. Last year, they held the lead against Penn the entire game but gave it up at the end. “Defeat just isn’t an option this year,” Zarantonello said. The girls are working extremely hard this year to beat not only school records, but also personal goals they have set for themselves. In order to achieve these goals, they have been cracking down on defense more than ever. The seniors of the team, Emily Samuelson and Megan Reed, plan to take charge and lead the team to victory. Whether it is pushing them to the limits at practice, or hyping the girls up before a game, both seniors are prepared to step up to the plate. Every aspect of the game is being worked on, but the main focus is strengthening their pitching. The pitching staff is putting in a tremendous amount of work in order to get better. The pitchers are mostly working on their speed, accuracy, and mechanics. Coaches are confident that if they continue to grow steadily like they have been, their team will be tough to hit off of. “I really believe this group we have will even do more this year and go above and beyond,” Ryan Sosinski, head coach, said about the team. Ryan Sosinski, robotics teacher and coach at Kesling Middle school, is in his second year as head coach. Also joining Coach Sosinski are assistent varsity coaches Coach Rosenbaum and Coach Ortiz. Coach Keivert is still holding his position as JV coach. As the season quickly approaches, the girls are nothing but prepared. They hope to see as many people as possible for their first game March 27. Slicers, bring the support.